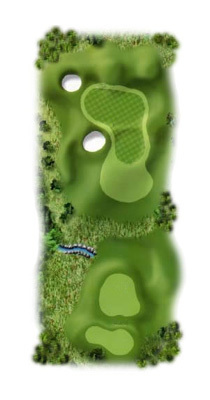 An uphill Par Three where players can only see the top of the flag. Any ball right of the green should kick down to the left. Be careful as this putting surface slopes severely from right to left and back to front.